Lamborghini is planning something very special for their founder Ferruccio Lamborghini's would-be 100th birthday next year. Their limited, special edition sports car will make its debut in March 2016, at the Geneva Motor Show. Lamborghini has been keeping the details of this special luxury car under wraps. New reports have revealed that the likely name for this Lamborghini is the Centenario LP 770-4. The Centenario was a gold coin minted in 1921 to celebrate Mexico's 100th anniversary of the country's independence from Spain, and the word, when translated from its Spanish origin, means "relating to a period of 100 years." The 770-4 suggests that this car will have 770 metric horsepower, which translates to 759 horsepower as we know it. The 4 in its name means that the car will have an all-wheel-drive system. Lamborghini's CEO Stephan Winkelmann said that this limited edition sports car will be a one-off with a coupe body style. 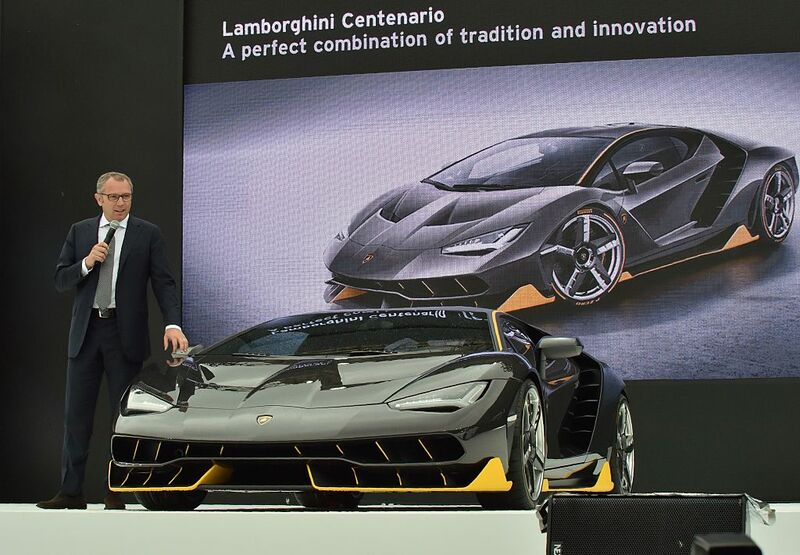 He also said that the Centenario will provide a "balance between tradition and innovation" when it comes to things like the car's weight, performance, and aerodynamics. The word is that this car will not be based on the Huracan, but is expected to be based on the Aventador's platform with a unique body. It is expected to be less extreme than some of the company's wedge-shaped models, and is said to be very beautiful and easy on the eyes. Prospective buyers of the Centenario have already seen it and some believe the car, which will likely only have about 20 examples, may already be sold out. Ferruccio Lamborghini was born in Cento, Ferrara, Emilia-Romagna, Italy in April of 1916. He was the son of grape farmers and founded Lamborghini Trattori after entering the tractor manufacturing business. Ferruccio opened an oil heater factory in 1959 called Lamborghini Bruciatori, which transitioned to the production of air conditioning equipment. He created Automobili Lamborghini in 1963, with the aim of making high end sports cars. In the late 1970s, he sold most of his interests and retired to pursue winemaking in Umbria. He passed away from a heart attack on February 20, 1993, at 76 years of age. This super special and rare Lamborghini is something that is sure to be the envy of car collectors for years to come. While the price is unknown, the car will definitely become a collector's item that will only rise in value over time.